Tennants have established a solid working partnership for sole distribution for ceiling & wall access panels, with this young & dynamic company throughout Ireland. As a UK manufacturer, their strength of Intrepid is the quick turnaround of standard and bespoke products, competitive pricing and delivery, with a wide range of 300, 450 & 600 square, made to very high quality standards. Available in beaded frame, picture frame, fire rated & non fire rated, Tennants will always have the panel you need! 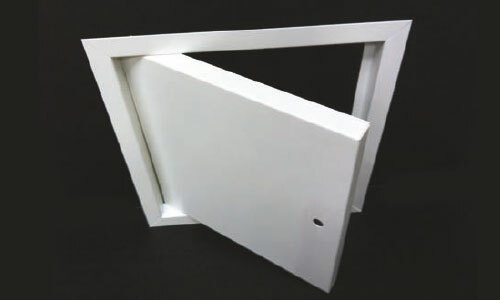 Access panels come in all shapes and sizes, grades and materials as well as Airtight, Acoustic, Ceramic tiling, various lock options, metal doors, plasterboard doors and on and on! So what is the best option for you? Speak to the staff at Tennants and we will go through the options that best suit your application.